Every company’s IT infrastructure is uniquely complex. As such, businesses require IT security providers with specialized cybersecurity solutions and services that address specific needs – from hybrid cloud security, to defense from targeted attacks and industrial network protection. To help them meet these expectations, Kaspersky Lab has launched a new global partner program ‘Kaspersky United’. 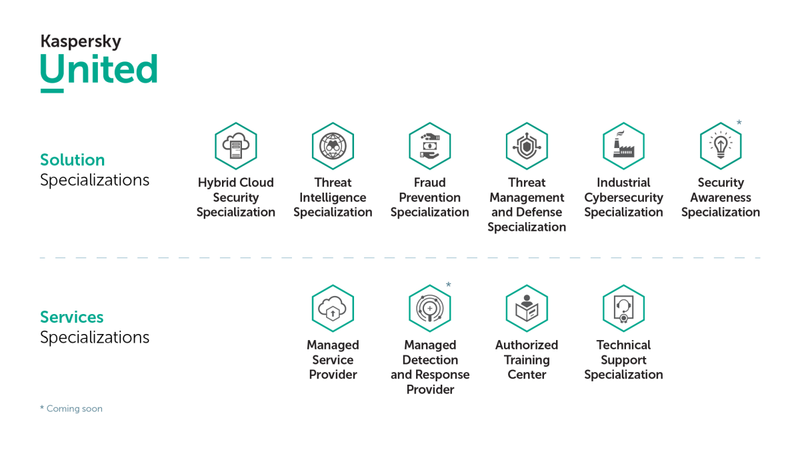 This program enables Kaspersky Lab partners — including resellers, service providers, and system integrators — to focus on selling the Kaspersky Lab services and products that match their own specializations. They will also receive access to education, sales and marketing toolkits and benefit from a new transparent monetary rewards scheme.